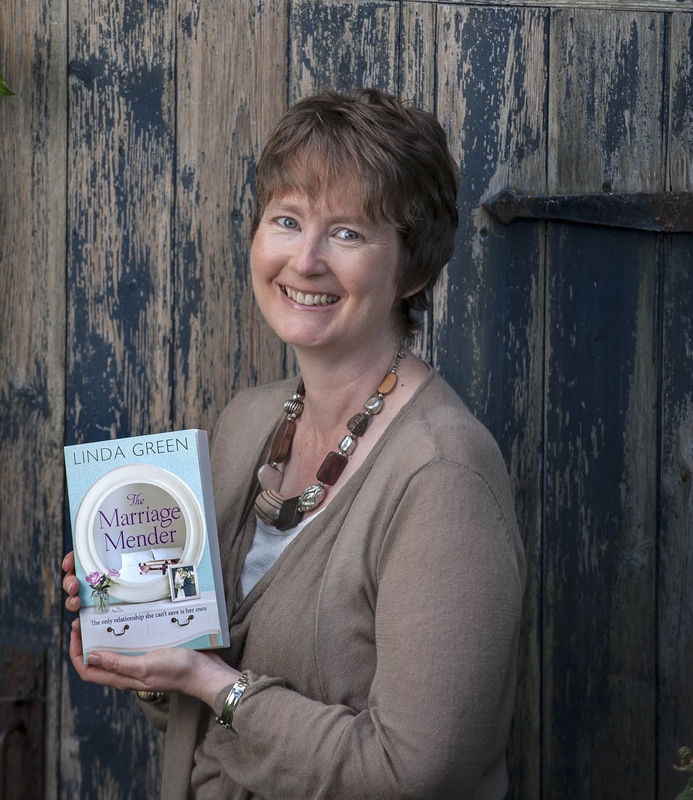 In her novel 10 Reasons Not To Fall In Love, Linda Green tells the story of a woman who through a series of unfortunate events meets a children’s entertainer who seems to be hiding a dark past. She explains here how a photo she took one day when she was with her son led to her writing this book. In 2007 I was the mum of a three-year-old and consequently didn’t get out much – not to anywhere more mentally stimulating than soft-play centres anyway! So, when I visited Eureka, the National Children’s Museum in Halifax with my son, the last thing I was expecting to do was come away with an idea for my next novel. But as we went in we were immediately greeted by a man on a tiny unicycle wearing a top hat and holding a large collection of balloons ready to be blown up. My son followed him without so much as a backward glance, as did all the other children who saw him. He was like the Pied Piper of Hamelin. With the children gathered around him he started to make balloon models. I’d seen plenty of balloon modellers before but this man was different. For a start the models he was making actually ended up looking like the thing they were supposed to be, rather than all looking like a cross between a giraffe and a poodle. 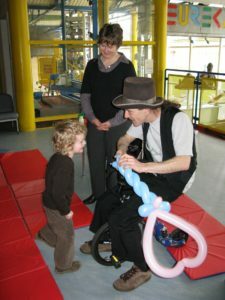 And the other, was that he absolutely entranced his audience, both children and parents. One woman commented on how amazing the balloon windmill he had made her daughter was. He replied, ‘Thank you. I chose to do something most people are rubbish at in the hope that I would shine’. It was a quote which made me smile and which I filed away in my head. When we finally went home that day, we were passed by the balloon man on his unicycle. He called out goodbye to my son who carried on talking about him the entire way home. When I got home, I couldn’t get this character out of my head. And when I saw the photo of my son gazing at him adoringly, I knew I had to use a character based on the balloon man in my next novel. I thought a lot about why you might become a children’s entertainer. I started developing a character who’d had a traumatic childhood living with the domestic violence his father inflicted on his mother. A character who now wanted to bring the fun and laughter to children’s lives that had been missing from his own. I decided that my character Dan would live on a canal boat, not wanting to put down roots anywhere too permanent, and Hebden Bridge, near where I lived, was the perfect location for that. So I now had a charismatic single man who had a very good reason not to commit to a relationship and family. What I needed was a single woman who had good reasons of her own not to want a relationship – and to throw them together. I came up with single mum Jo who had been dumped by the father of her young son and had vowed not to get into any more relationships to protect both her and her son from getting hurt again. And when I looked at the photo again, I knew that I had to make Jo’s son Alfie fall in love with the balloon man as my own son had done – which would throw the two of them together. Their story moved me as I wrote it and even now, four novels later, I still get emails about how much readers love Dan Brady. When 10 Reasons Not to Fall in Love was published, I was asked back to Eureka in Halifax to publicise it. And who had they asked along as their special guest but the balloon man, whose real name was Jon Lockwood. It was fantastic to have the chance to talk to the man who had unwittingly inspired by novel, although a little unnerving when I discovered that he did actually live on a canal boat!